A great woven, handmade bracelet. This one of a kind piece weaves vintage and modern style together seamlessly. 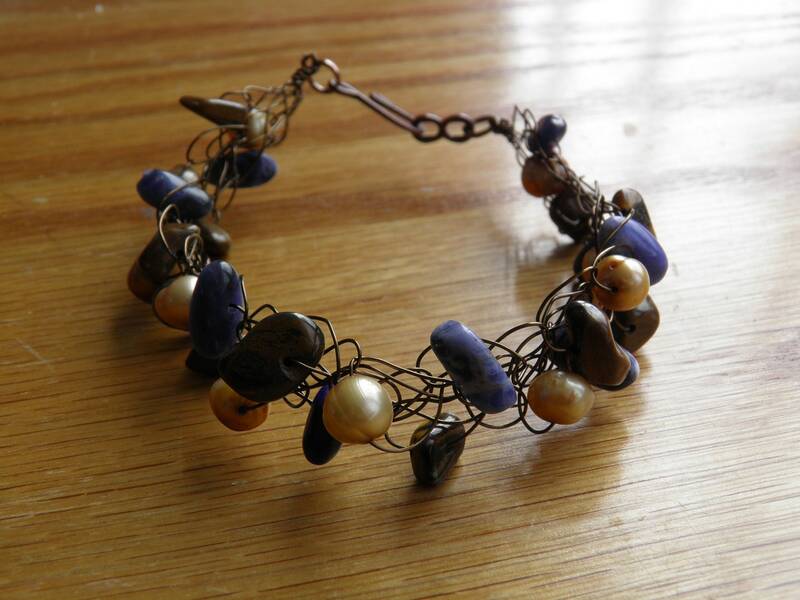 Gold freshwater pearls, deep blue sodalite and warm tigers iron shine in this great bracelet.